My OSX calendar app is configured to show all the birthdays of my contacts (they are displayed as this special calendar with the parcel icon in OSX). 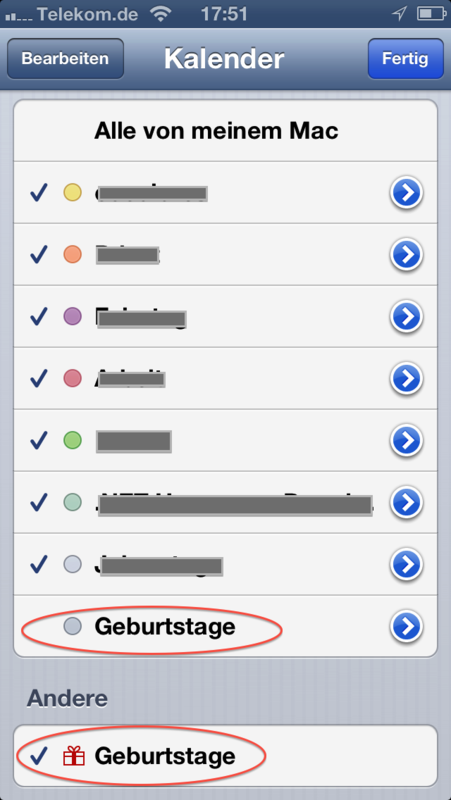 It seems that iOS (6, on iPhone 5) does that too but doesn't recognize that this is the same calendar as the one in OSX. As a result, when I sync all my OSX calendars with my iPhone, suddenly there are two birthday calendars, one seems to come from OSX and does not have the parcel icon. That calendar is called "Birthdays" when viewed in iOS. The other one seems to be the one intrinsic to iOS and just like in OSX has special parcel icon. I would have assumed that the two apps of the two OSes should figure out that this is basically the same calendar. To get rid of the double events in my calendar view in iOS I can uncheck that "Birthdays" calendar in iOS so that the events of this calendar are not displayed. But that calendar still gets synched from OSX and I can't uncheck the "Birthdays" calendar in the OSX iTunes sync settings because there this calendar is not listed. My question is now, how do I get rid of the redundant calendar on the iPhone? 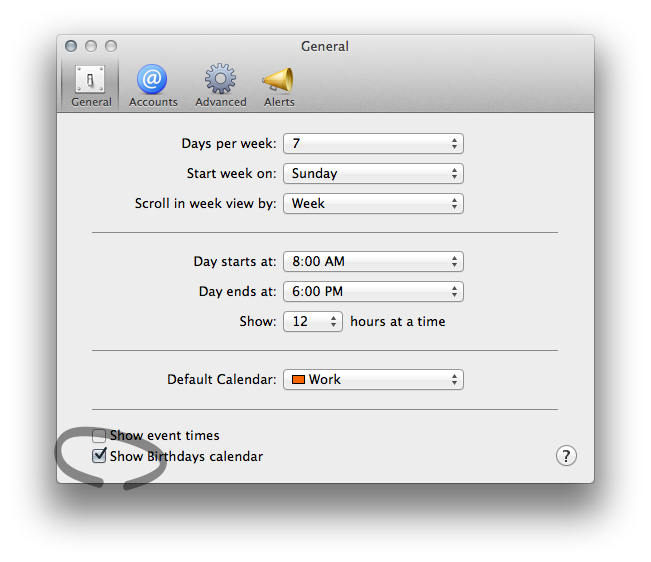 On the mac, turn off Birthday calendars in the Calendar app preferences. On the iOS device, unselect the check next to the programmatic calendar to suppress those entries. Short of jailbreaking the device and patching the Calendar app, you can't suppress the package calendar - just show or hide it. Alternatively, you could purge all birthdays and anniversaries from all Contacts, but that seems too brute force to me when you can suppress each calendar with settings. Most that I have asked choose either the OS X calendar and suppress the iOS one or skip the OS X one and rely only on iOS for birthdays and anniversary entries. Not the answer you're looking for? Browse other questions tagged macos itunes ios contacts calendar . How to change color of Birthdays calendar? How to not show birthdays from Contacts on Apple Watch?